Leading Eye Doctor Near Allentown & Bethlehem, PA.
Dr. Michael Brodsky and Associates provide quality eye care and eye exams in Whitehall, PA, and serve the Lehigh Valley area of Allentown, PA. We handle everything from eye exams and hard-to-fit contact lenses to computer vision problems, specialty lenses and the management of eye disease. 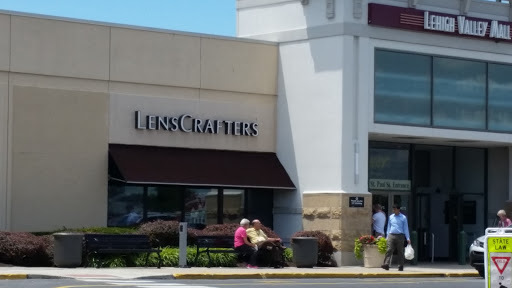 Located in the LensCrafters in Lehigh Valley Mall, eye doctors Brodsky, Newcomer, and Stochla know that getting the right prescription involves balancing several factors, including clear eyesight, visual efficiency and your ability to seamlessly process visual information. 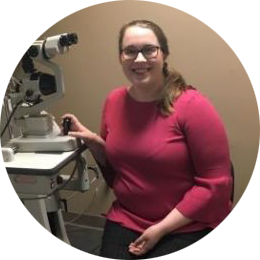 We believe in looking at the big picture when it comes to your eye health, so we take the time to get to know you, your eye care history and your vision needs. We take pride in building lasting relationships with our patients from the Lehigh Valley communities of Whitehall, Bethlehem, and Allentown. Eyes are important indicators of overall health, and comprehensive eye care goes beyond a prescription for glasses or contact lenses. 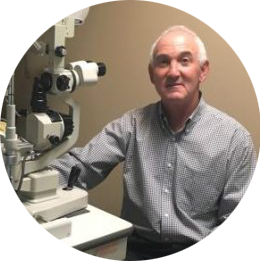 At Dr. Michael Brodsky & Associates, we take the time to get to know you, your eye care history, and your vision needs. Using Clarifye and Optos Retinal Imaging, our optometrists are able to map the unique “fingerprint” of your eyes with digital precision, to pinpoint the prescription you need to see your best. We can also diagnose Glaucoma, Cataracts and Macular Degeneration and identify various systemic disorders like diabetes, hypertension and high cholesterol. Both appointments I've had at this office were fantastic. Dr Stochla is pleasant and knowledgeable. The staff is charming and lighthearted. It is a comfortable and friendly office that takes good care of their clients. Dr. Brodsky was very nice, informative and provided an excellent customer experience. My eye exam experience was excellent. All the girls were very pleasant and the Dr was was very accommodating and seemed genuinely interested in any concerns I may have. Extremly friendly staff who explain everything in detail. I wouldn’t go to another eye doctor. Efficient, friendly staff. Wonderful Dr. Great place to have vision checked. Everyone was super friendly and very helpful. This was my first time getting glasses and and everyone made sure I felt comfortable. Exam was quick and easy. Please call our office at: 610-200-6611 for further instructions. Use your best judgment on urgency, if you feel you need to find the nearest emergency room. How do I know if I am suffering from Dry Eye? Dry eye syndrome in its mildest form consists of the vague complaints of burning, watering and fluctuation of vision. 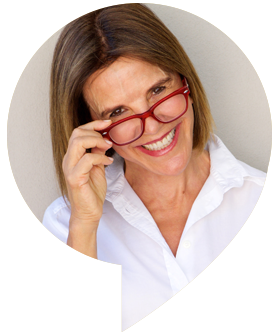 It is common to think you need to change eyeglasses when the real solution is to improve your tear quality. Dry Eye is a condition in which there is an insufficient quantity or quality of tears. Healthy tears are necessary for maintaining the integrity of the ocular surface and for providing comfortable clear vision. Early detection and aggressive treatment of dry eye syndrome may help prevent corneal degeneration and scarring. The frequency of your follow-up care depends on the severity of the signs and symptoms. 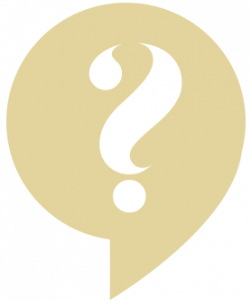 What are treatment options for DES? There are several different levels of treatment depending upon the severity of your discomfort and condition. 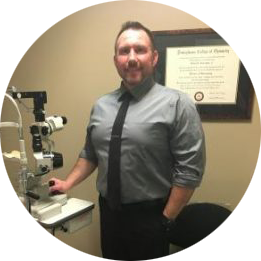 The most important factor in treating your dry eye is to consistently stick to your regimen and follow up with our office so we can monitor and improve your tear quality. This will lead to better vision and comfort. How do I know if I have DES or just Alleriges? Do you suffer from itchy, stinging, swollen or bloodshot eyes? While a number of causes can be to blame, the two most common reasons for eye irritation are dry eye syndrome and eye allergies. Although the symptoms of these two eye conditions can be similar, there are also clear differences. Only a thorough eye exam by an eye care specialist can diagnose the cause of your eye irritation, which allows effective treatment. What are some tips that will help me cope with DES? The primary symptom of eye allergies is itchiness. One of the most important tips we tell our patients in Whitehall is not to rub your eyes! Vigorous eye rubbing can spread the allergen and exacerbate your itch. We're so easy to find in the Lehigh Valley Mall! Directions?